Lexus spent months developing CinePrint Technology to animate the 2013 ES’s next generation design and technological advances in a way that’s never been done. 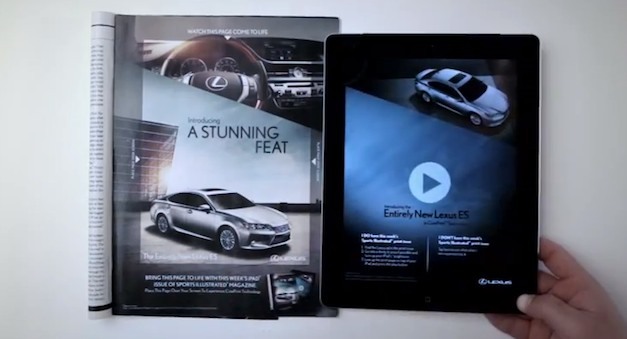 Most traditional mashups feature print ads that redirect to a digital experience away from the printed page. CinePrint Technology flips that on its head, creating a tactile and visceral connection that brings one closer to the printed page with a multi-sensory experience that combines sight, sound and touch.